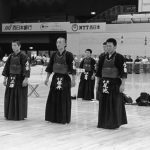 Uchimura Ryohei attributes his first All Japan Kendo Championship title to all the hard work and unending effort that he put in everyday. 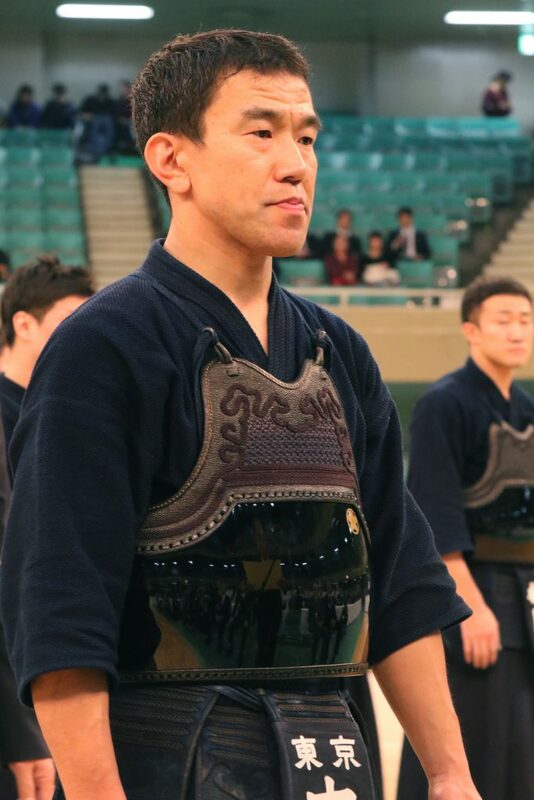 Appearing in the All Japan Championship for the first time in 2005, Uchimura lost to Harada Satoru in the final, his senior at the Tokyo metropolitan police. He achieved an outstanding second place, but he was left feeling disappointed. 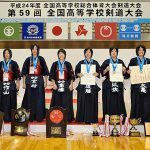 When Uchimura was in junior high school, he famously asked the coach of Kyushu Gakuin High School, Toshiro Yoneda, “What must I do to become no.1 in Japan?” In 1998 he reached the top of Japan in the inter-high games, both in the individual and team tournaments. He also become no.1 in Japan in the team games at Meiji University. Yet, even after joining the Metropolitan Police, Uchimura never neglected the hard work required to become No.1 in Japan. 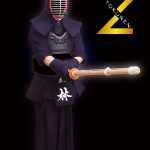 In 2006, he defeated Teramoto Masashi (Osaka Police) in the 3rd round, and saw off Takasaka Yusuke (Shizuoka Police) in the quarter final. 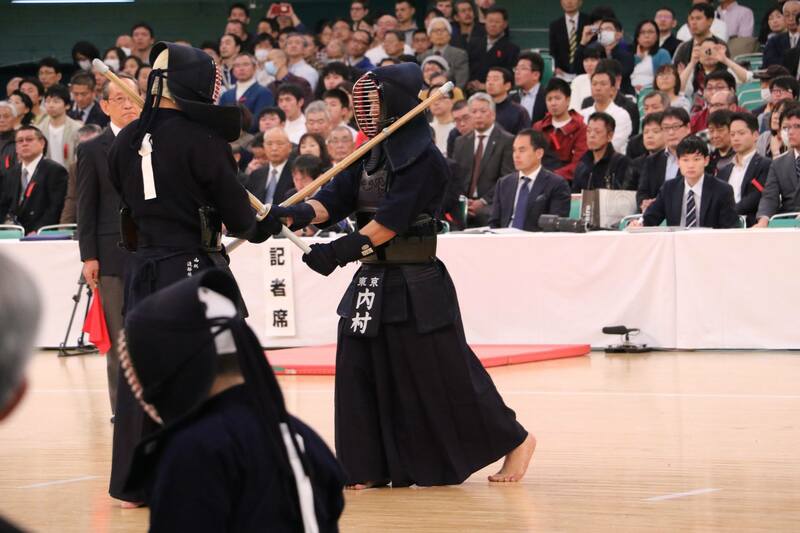 In the semi-final, he conceded a big men to Toyama Hiroki (Aichi Police), but drew level with a kote, and completed the comeback with a hiki-men. 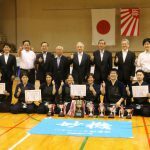 In the final, he faced Furusawa Tsuneomi, who had reached the final by defeating strong players like Yoneya Yuichi (Saitama Police) and Takanabe Susumu (Kanagawa Police). Early on he saw Furusawa stopping in his movement and went for the men. He did not let up his attacks, and saw off the match to seal the championship win. He was known by all for his hard work, and he realized his dream at the of age 26. 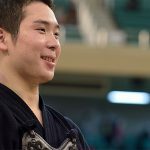 Championship victory at age 26 is younger than when the legendary Miyazaki Masahiro, who holds the record number of All Japan Championship victories; winning his first at age 27. 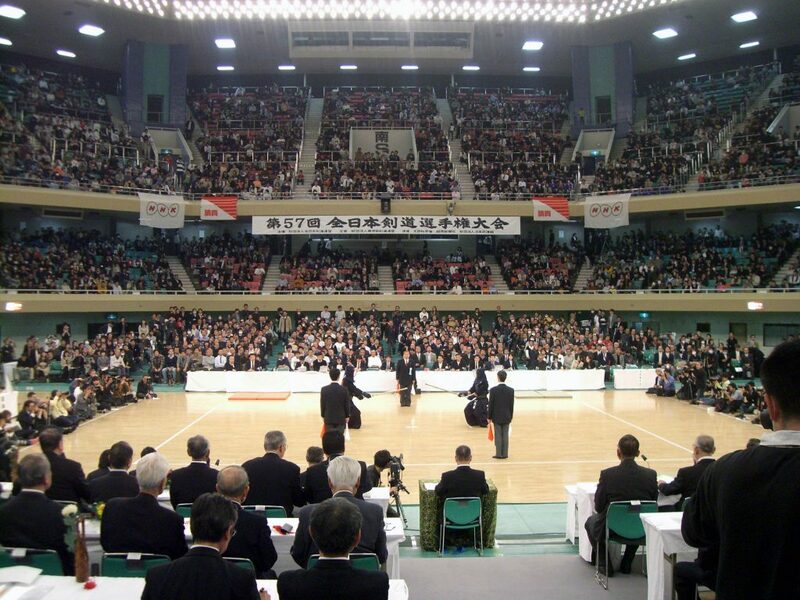 At that time it was the first since Toyama Michitoshi in 1980. After that, Uchimura went on to win in 2009 and 2013 as well. 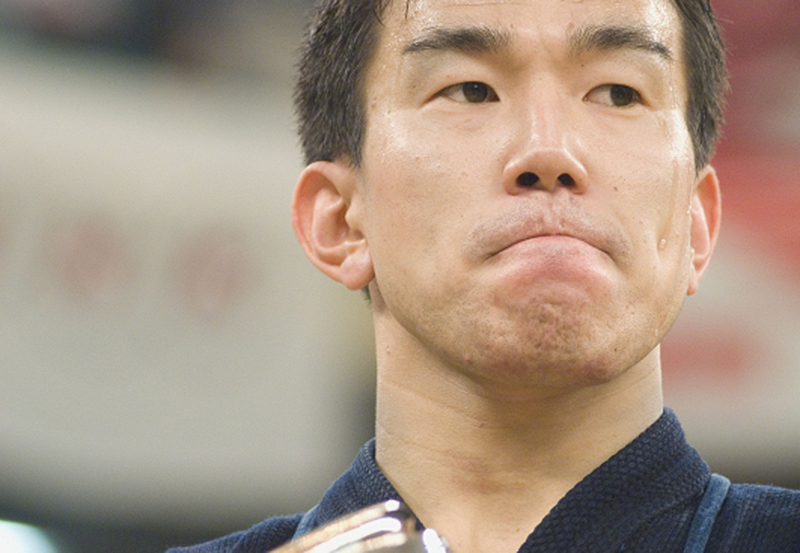 Uchimura would go onto win the 57th All Japan Championships in 2009 as well. Miyazaki Masahiro, Chiba Hitoshi, Nishikawa Kiyonori and Nishimura Hidehisa. He also has an amazing 5 time runner-up record, which is more than any player in history. He also performed well as a key-player in the world championships for many years. 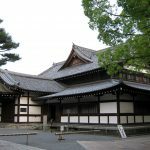 Truly Uchimura is the “Iron Man” of the Heisei period. There is still a chance that he will extend his record.